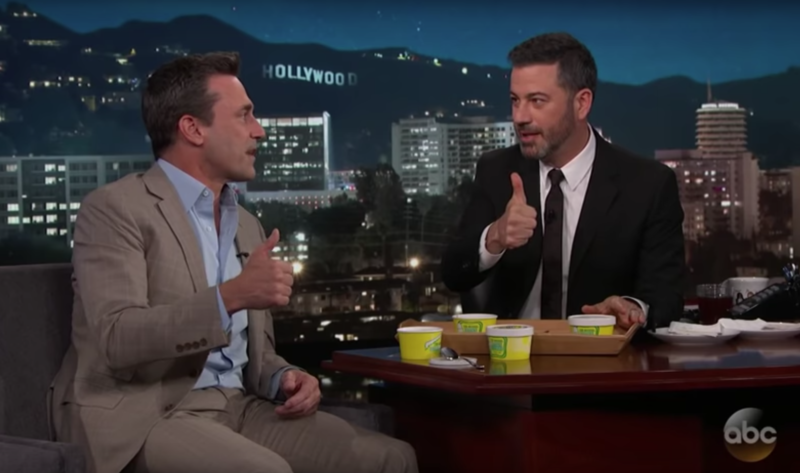 Jon Hamm and Jimmy Kimmel give Ted Drewes' frozen custard a literal thumbs-up. Jimmy Kimmel doubled-down on his previous criticism of Imo's Pizza last week — this time calling it "the worst pizza you've ever had in your life." 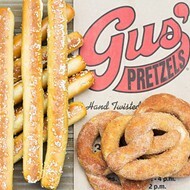 But when it comes to another St. Louis-area delicacy, the ABC late-night host is all on board. Kimmel is married to Molly McNearney, a St. Louis native (St. Joseph's Academy, class of 1996!). Which means he's become intimately familiar with our local foodstuffs. And so when Jon Hamm (John Burroughs, class of '89) visited Jimmy Kimmel Live! on Thursday, Kimmel began by apologizing for putting him on the spot over Imo's in a 2013 visit. "Jon, whether he likes it or not, he has to defend it, because he is from St. Louis," Kimmel says. "Yes I do," Hamm says, a glimmer in his eye. But he hardly puts up much of a fight. Of Imo's, he laughs, "I'll say it's specific." But Kimmel then turned to a more positive subject: Ted Drewes. "I brought you another St. Louis treat here tonight," he said. "And it's actually delicious. In fact, my wife who's from St. Louis stole most of these. This is Ted Drewes frozen custard." "This is very good stuff," Hamm agrees, adding, "It's like ice cream, but three times the calories and the fat." Still, for all his enthusiasm about the city's favorite frozen treat, Hamm seemed a bit fuzzy on the details. Is it possible he hasn't actually gotten to visit our beloved frozen custard shack in person in quite some time? Clue No. 1: Asked his favorite flavor, Hamm says, "I usually just do a vanilla, but you mix stuff in." Does he not know the name for his order? Maybe he's just getting his these days from an airport kiosk? Clue No. 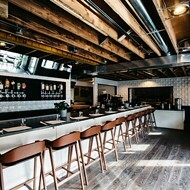 2: Hamm tells a hilarious story that wouldn't quite manage to pass the local smell test. "The funny thing about Ted Drewes in St. Louis, the main version of it, it's like this old rickety shack that in the summer has a line that's literally out into the streets — it disrupts traffic," Hamm says. That part is all true, obviously, but then he says, "And next door to Ted Drewes is a Baskin Robbins that should probably be called the loneliest Baskin Robbins. There is never anyone in there — and you can see the person in there looking across the street at the 9,000-person line. Like, really, you want to spend an hour in line in 100 degrees in St. Louis heat? We've got 31 of 'em!" Still, we can't be a stickler for up-to-the-minute accuracy with a star of Hamm's caliber. Let's face it, an ordinary person can't go to Ted Drewes without being mobbed — can you imagine being there as the city's most beloved movie star? Anyway, back to Kimmel's kinda-sorta mea culpa. "I hope this makes things right with the city of St. Louis," he says. "I still don't like Imo's Pizza, but Ted Drewes? Thumbs up." Also of note? Earlier in the show, Hamm went deep in telling the story of the greatest baseball game of his life — game seven of the 1982 World Series, which he attended as an eleven year old. "I was with my dad, we won the World Series, it's the greatest feeling in the world," the actor says. 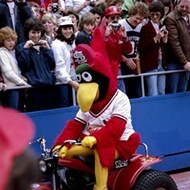 "The Cardinals' theme song that year was Kool & the Gang's 'Celebration.' Which is the greatest song in the world anyway, but when it seems like they're singing it about your team, to you? When all of Kool and all of the Gang are singing right to you? It's the best!" His depiction of the downtown streets after the game is enough to give a Cardinals' fan chills. "Everybody downtown in cars had some version of it [blasting], not synched up ...."
"The thing is, I'm sure Kool and the Gang are Atlanta Braves' fans," Kimmel interjects. "Totally!" Hamm acknowledges. "They have no connection to the city whatsoever. But for that one moment in time, they could have gone anywhere ...."
After that, Hamm tells yet another charming story about wearing a Cardinals' hat to a Cubs game and becoming "public enemy No. 1 in Chicago" after the Chicago Tribune published his photo, even though he was rooting for the Cubs in their World Series matchup against Cleveland. "I was rooting for the National League," Hamm says, sensibly. Cubs fans, apparently, aren't quite so sensible. The hat was later swiped off his head and thrown over a wall into an alley by Bill Murray — then auctioned off for charity. Hey, someone paid $15,000 for it! You can hear the whole story here, or read the Trib's write-up. What a mensch. And please take it from Jimmy Kimmel: Even Provel haters need to give Ted Drewes a big thumbs up.